So my assignment ( and this will get me caught up) is to be inspired by something social media. It was suggested that you go to twitter and search “quotes.” When I did that I got two accounts that I follow. "IMF funding comes with so many conditions attached that it is guaranteed to render a nation politically weak and broken." After watching Flow and learning about Bolivia and other countries it certainly is the truth. When your a kid and a revolutionary of sorts, at least in your mind “Che” is a very romantic figure.” Then you grow up and your realize his life and the way his chose to live came at a great price. I have a hard time reconciling the doctor who took care of people with leprosy and the person who became a murderer in the name of freedom. Maybe you had to be there. I could write for hours on Che. I’ve seen multiple documentaries and read a bunch of books. I think I keep looking for that moment where everything changed. The sentinel moment. The objective remained the same but the tactics changed. I looked at the photo a thousand times. Its a symbol. But of what? I think no matter what he dedicated his life to helping the poor. Also, like many people who have good intentions narcissism gets in the way. I do love the film I have seen of his time in NY with everyone throwing themselves at him and his speach at the UN. 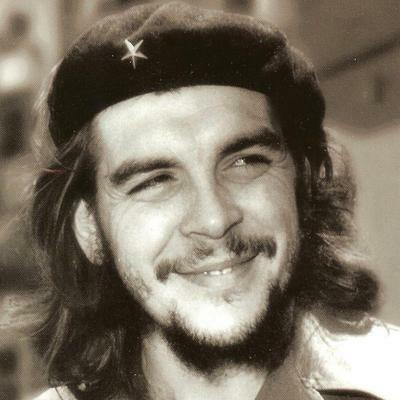 What would the world be like if Che were alive today? What kind of man, husband, grandfather would he be in the world of the 24 hour news cycle and social media? How would we treat him? I named one of my lacie ruggeds after him but really didn’t give him much thought for a long time. Then I watched “The Motorcycle Diaries.” This movie is so exquisite. Here is the trailer. You must see if you haven’t. Here is some audio of his famous trip to NYC to talk to the UN. 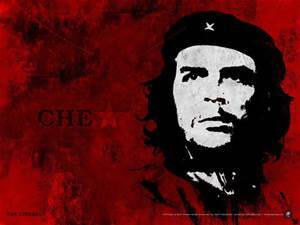 As we know Che was killed in Bolivia with the help of the CIA. I love all his goodness. Deplore the blood, death and violence. So this is the other way around. Here we have jailed woman who are in for all kinds of violent acts and we get to watch the microcosm of humanity that goes on in Litchfield Prison. Sometimes funny. Sometimes sad. Always meaningful. If I could meet one television writer it would be Jenji Kohan. Some people didn’t like this past season. I loved it. It was subtle and we really got to know the backstories. I’m going back to re watch but my favorite story line was the kosher meals and how Black Cindy decided to become a Jew. When I was younger and flew with my parents they would always order the kosher meal. “It was better.” They said. So in order to save the prison when it becomes privatized the first thing they do is supply food from boxes. It was truly gross. I couldn’t even look. One of prisoners decided to order a kosher meal so she was getting a half way decent meal and then some of the others caught on and the power’s that be noticed an increase in the quantity of kosher dinner’s being consumed and because they couldn’t deny it they hired a Rabbi to come in and flush out the fakers. In the end Black Cindy converted to Judaism but she couldn’t finish it off because there was no micveh. OK so my name is also Cyndi and my Hebrew name is Tova so I totally related. But there something about Black Cindy’s joy that me admire this character and her journey. That’s what hit me. That’s I was taught to do. Ask questions, keep learning and keep arguing. It’s part of me and who I am and who I always will be: A total pain in the rear end!